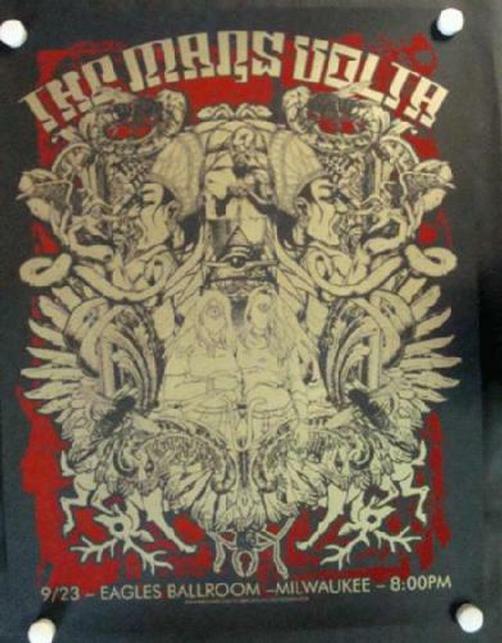 Original silkscreen concert poster for Mars Volta at The Eagles Ballroom in Milwaukee, WI in 2006. 23.5 x 30.5 inches. NM condition. Artwork by Jermaine Rogers and Jared Connor.